mobileWOMEN.org: What is True Beauty? As the Gallery Reception for The Raw Beauty Project NYC, fast approaches, we thought this insightful article by one of our contributors, would be fitting. Tickets and sponsorships are still available. For those of you that can not attend, please consider giving a donation to keep the project going and to benefit the Christopher & Dana Reeve Foundation. No amount is too small! As a woman who lives with a disability, I know the stigma that I face in a culture that values a perfect body, particularly among women. My body may not arouse “babe’ fantasies in the eyes of some when I wheel past them. This is something I have struggled and lived with so much of my life and making peace with my body has been a challenge for me like no other. Born with brittle bones or osteogenesis imperfect, I have had many fractures that have caused me to be petite in stature. To see me, you would notice I have very petite legs as that is where the brunt of my fractures took place. I also have a very small torso due to a curvature of the spine called scoliosis. For many years, even the thought of looking at my body was hard for me to do and accept. I saw it as a “deformity” and something provoking disgust. And when I was with female friends who were not disabled, I always felt that it was taken for granted that they would get all of the attention because of their looks and not me using my wheelchair. For the longest time I felt intimidated around men, as I assumed they would never be interested in me. I avoided making eye contact with them, or tried too hard to fit in. Although I am much more confident today, this is still something I struggle with at times. My history of how I viewed myself has changed over time, however. Back in the early 1990’s I went to counseling for mild depression that I have lived with for a long time and came to understand was a part of living with my disability. Through counseling I gained an insight into myself that I never knew before. First, I learned that I had to grieve my disability a s a death in its own right. I had to experience that sadness even though I was born with this condition. From this insight I began to try to learn to accept my imperfections and struggles in life as part of being human. To know that I, too, make mistakes and have faults like everyone else has helped me not to be so hard on myself when things do not always go the right way. Growing up, I always felt I was put on a pedestal because of my disability and I could do no wrong. But that was a burden far greater than accepting my human blunders. And I have a few (laugh). Second, one of the greatest lessons I learned was to accept my body a little more while also knowing that I am more than just a physical presence. I have been a dancer for well over twenty years now having studied modern dance for many years and now ballroom dance with American Dance Wheels Foundation. This has helped me to make peace with my body and to find beauty where it lies. I can be positive; focusing on the good features I have and spice things up to show off my own style and sexuality. To add, I also was Ms. Wheelchair Pennsylvania, a state wide program associated with Ms. Wheelchair America. This organization is a parallel to Ms. America but does not focus on physical beauty the way the other pageant does. Those who represent their state or go on to be Ms. Wheelchair American, focus on advocacy and education for those living with physical disabilities. But, the pageant does allow women with physical disabilities the experience of a pageant without the stereotype of one style beauty fitting all. For more information, please see at the end of this article. 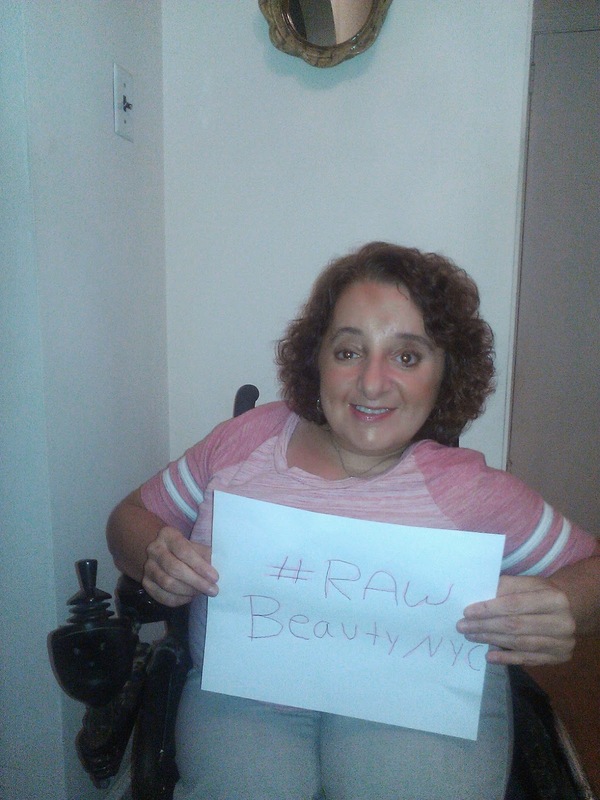 Kara supports Raw Beauty NYC's mission & asks that you to do! Perhaps most important, I learned that my disability gave me a gift in a way, an empathy to accept the differences in all of us. It has taught me to be more tolerant and accepting, to branch out and meet many diverse people. But this insight also has helped me see that I want to just be me. I do not want to be labeled with politically correct terms. I see myself as able bodied my own normal and just living with something that is an extension of me. There will always be challenges facing me, and I now understand a little better that some of what I find a challenge in life is what we all struggle to cope with. It is the ability to like who we are, and the hope that others will see us for how great we all can really be. Ms Wheelchair Pennsylvania Program gives women with physical disabilities throughout the state the platform to show achievement and provide public awareness of living life with a disability. 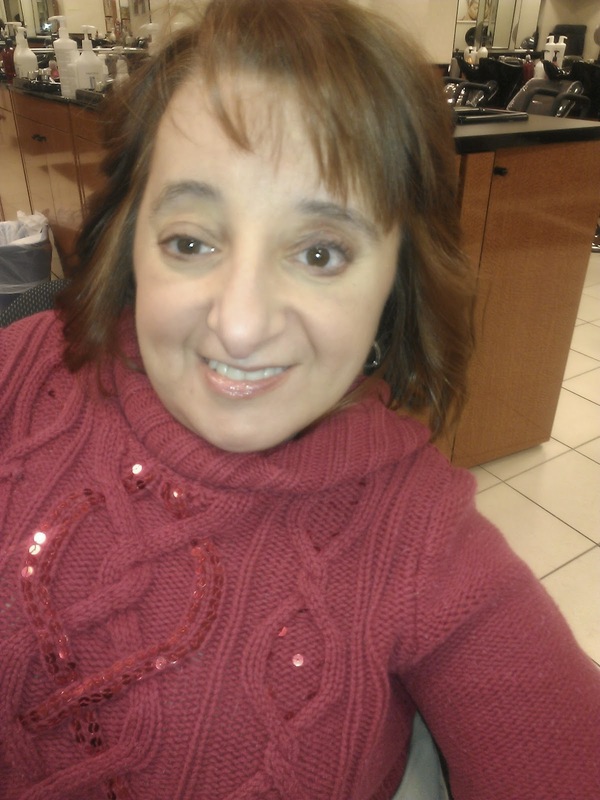 Go to www.mswheelchairpenn.org to learn more about and get involved with the organization. This is a great article on self-love and self-acceptance (something every human being grapples with at some time). Thank you for sharing too such depth & helping your readers find the courage to do the same!